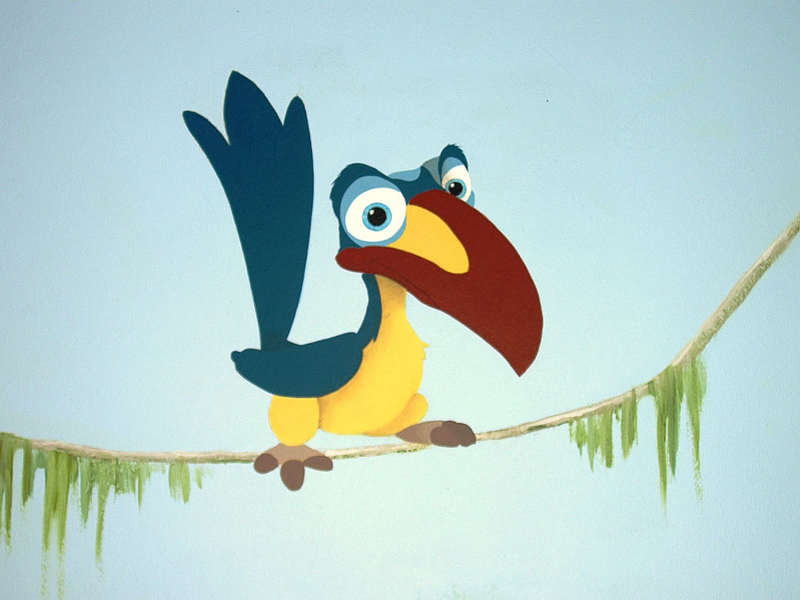 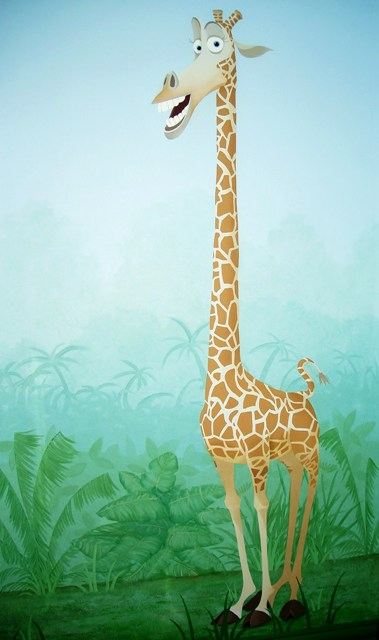 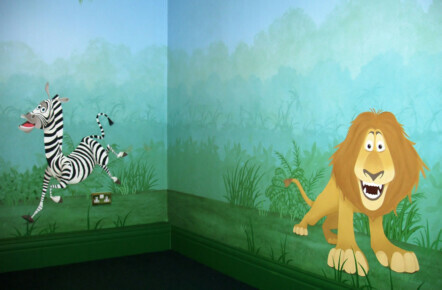 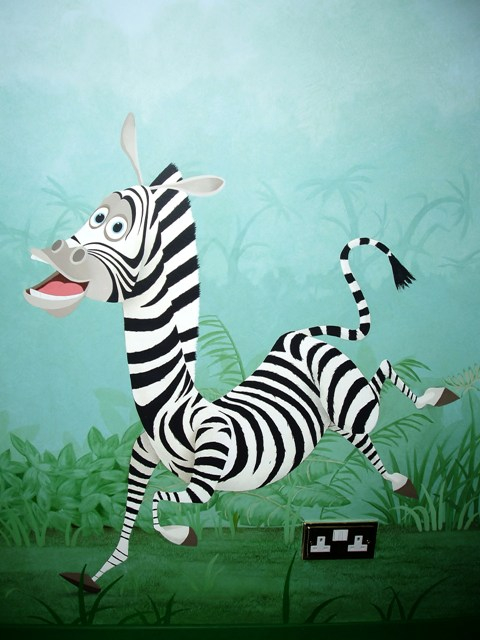 This hand painted jungle mural was created in a boy’s bedroom. 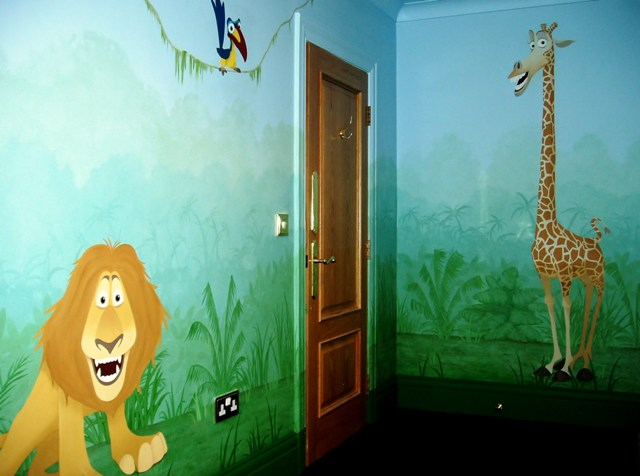 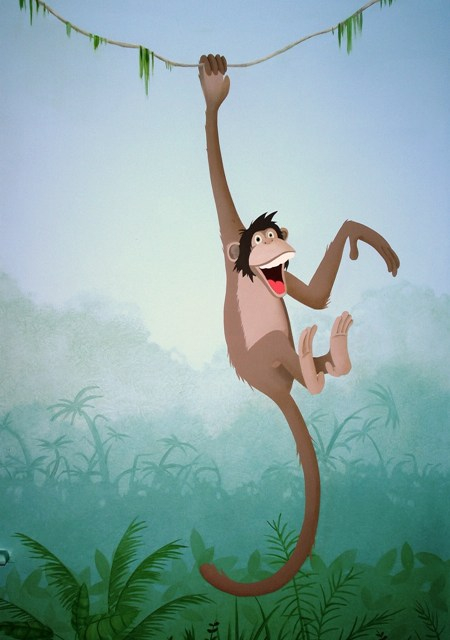 He absolutely adored animals so loved the idea of a jungle themed mural with characters from Madagascar, The Jungle Book and The Lion King. 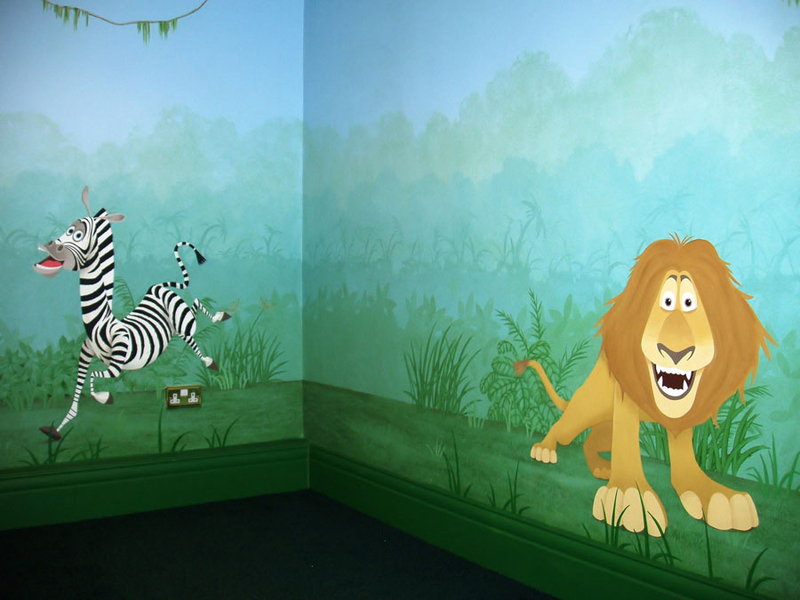 The mural itself covered all four walls and has a subtle layered foliage background to add depth and atmosphere. 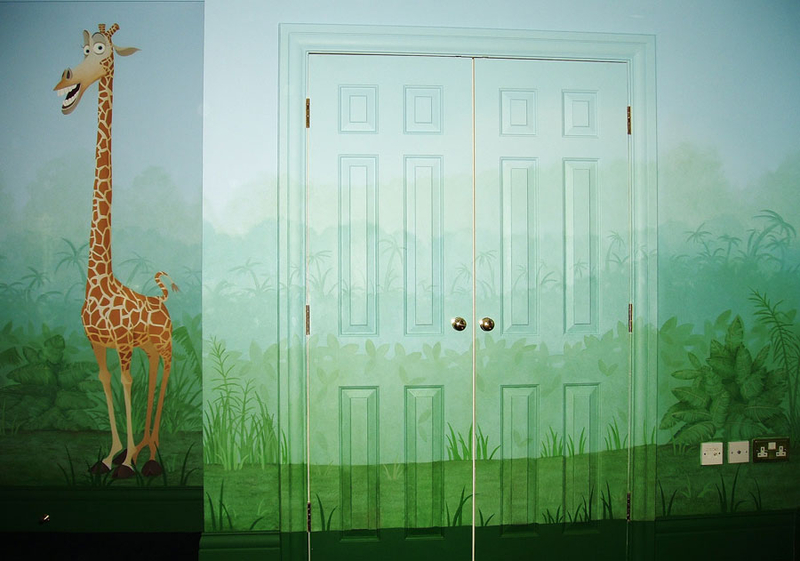 The wardrobe doors were also painted so as to blend in with the rest of the room.